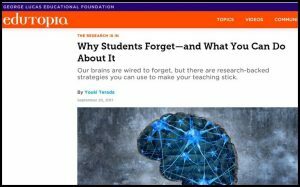 Just in time for exam revision comes this article on Edutopia. Great thing to keep in mind from the start of the year! Good readers are active readers. Reading is more then being able to sound out the words. It also includes comprehension – understanding the thoughts and ideas the words are telling us about. As we read more of “Hatchet” this week, be aware of some of the things you do to help make you a better reader. Talk about how you do these in your portfolio reflection. Think aloud – what questions do you have about the text, talk about what you think is happening as we read. Visualising: Active readers use all of their senses as they read. Gary Paulsen makes this easy for us as he uses words to create vivid picture of what is happening. Think about these as you develop your response to the chapters. Questioning: You should ask yourself a range of questions about the text, the author’s intention and the language as well as the plot. Often the author is trying to tell us more than it might seem on the surface. The “see think, wonder” activity is one that will help you think more deeply about what you have read. Summarising: Look at the sequence of events and focus on the main points. This can be difficult when you start thinking about what to leave out.